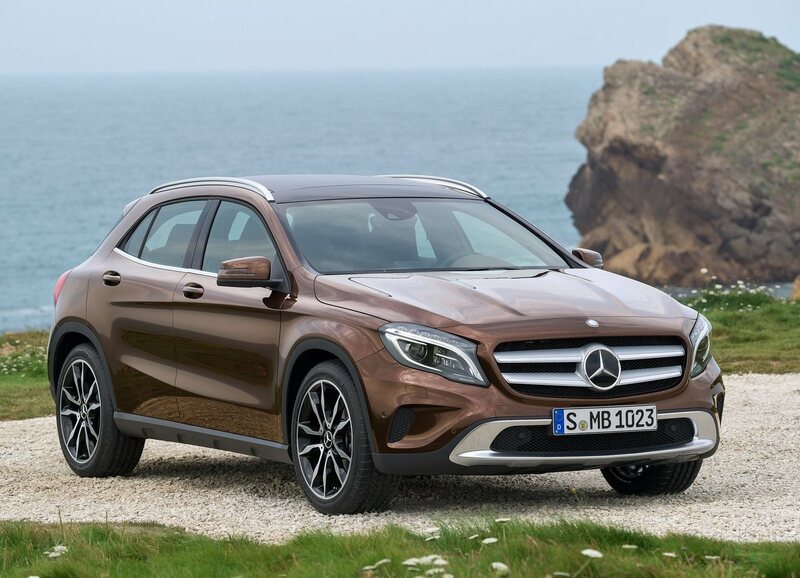 What happens when a German manufacturer thinks about making a perfect family car which can turn into a weekend country ride, here’s the story of Mercedes-Benz GLA class starts. Even luxury German manufacturers could not resist the population of compact vehicles all around the world. The GLA is developed on the same MFA platform that also forms the base of A-Class and the B-Class. After the launch of the E-350 sedan Mercedes is getting aggressive for the coming festive season, hence the launch date of GLA crossover is set for 30th September. Mercedes-Benz is also planning to launch GLA-45 AMG next month after the GLA launch. 2014 CLA sedan is the next big and much anticipated launch from German manufacturer. GLA and CLA will be locally assembled at Chakan, Maharashtra facility as the ‘year of excellence’ continues from Mercedes-Benz. Unveiled at the 2013 Frankfurt Auto Show, GLA was first of its kind Compact executive crossover, stylish in looks and practical for countryside roads. 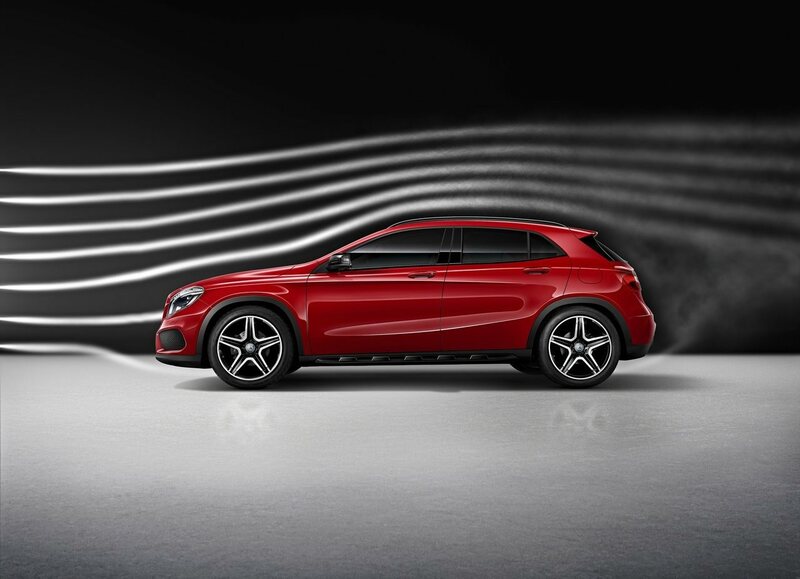 GLA200 sports will be powered by 1.6L four-cylinder petrol engine and GLA200 CDI will be powered with 2.1L four-cylinder turbocharged diesel motor. The petrol engine produces maximum 156 PS at 3500 RPM while Diesel motor churns out 136 PS at 1400-3000 RPM band. 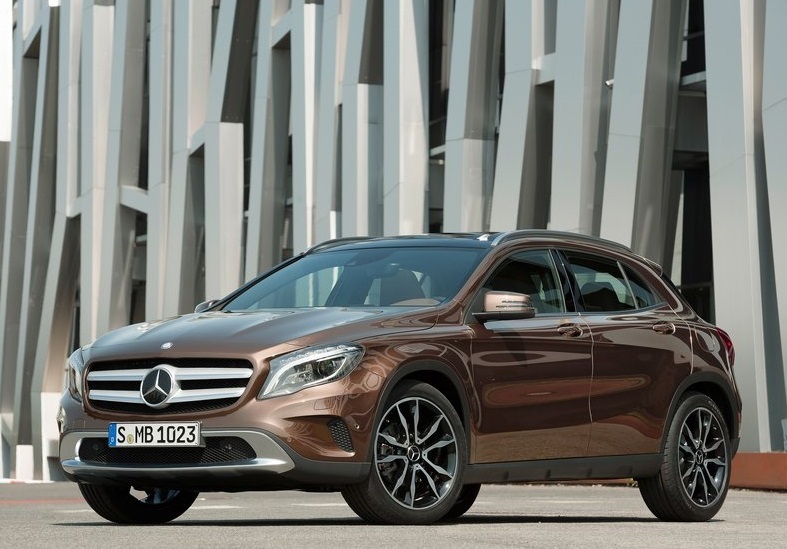 Both the engines are mated to seven-speed dual clutch automatic transmission, though there are fewer chances of Mercedes to introduce GLA with 4MATIC all-wheel drive with off-road functionality, GLA is expected to come with FWD only. Visually GLA carries identical design lines from A-class, one can even say GLA is A-class on steroids. The GLA is 4417mm long, 1805mm wide and 1494mm tall and 125mm longer than the A-Class. 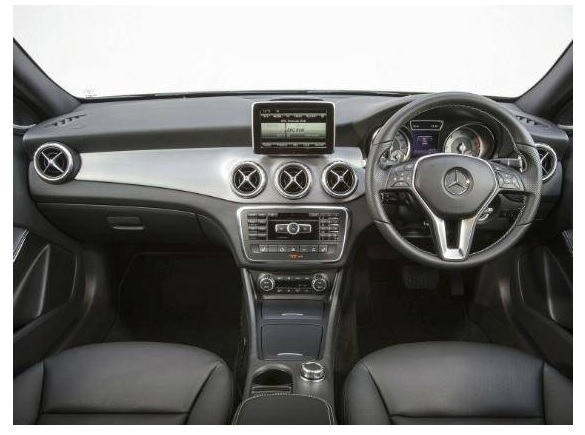 The GLA is a five-seater with a rear row that can be folded down to increase luggage space from 421 liters to 836 liters. 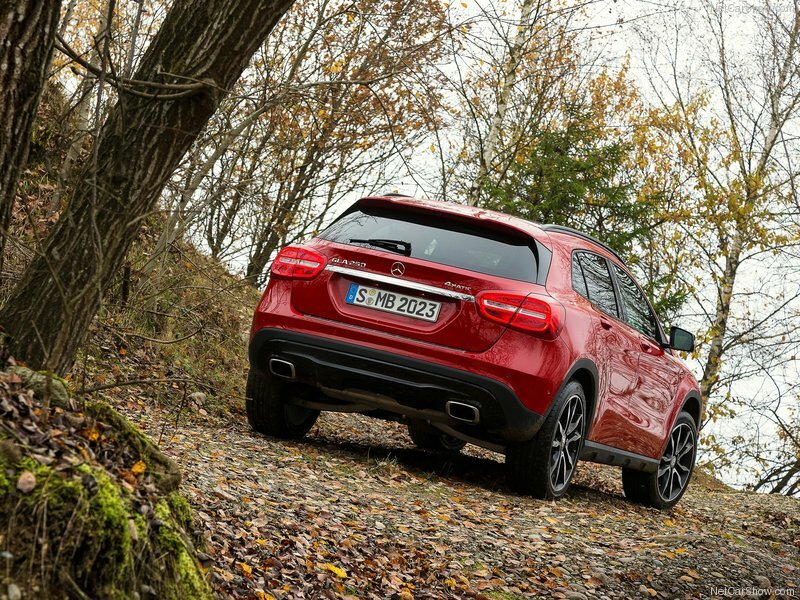 The GLA is aiming to steal sales from the BMW X1, Audi Q3, Volvo V40 Cross Country and the Range Rover Evoque, which is why the GLA is the same size as these three rivals. 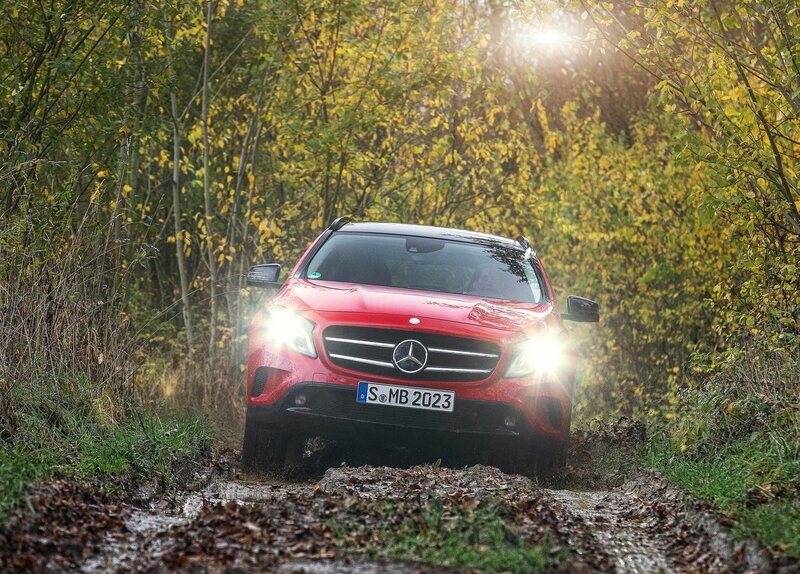 Mercedes is expected to price GLA crossover in 30-35 lakh bracket to have aggressive move against top two competitions, Audi Q3 and BMW X1. The looks of GLA Crossover are so much aligned to the company’s latest design language that makes Audi Q3 and BMW X1 outdated in looks as competition, though the pricing will be another aspect for its buzz in the market. Keep reading this space for latest automotive updates. Mercedes-Benz India becomes the first luxury brand in India, to cross the 11,000+ sales mark in a fiscal.